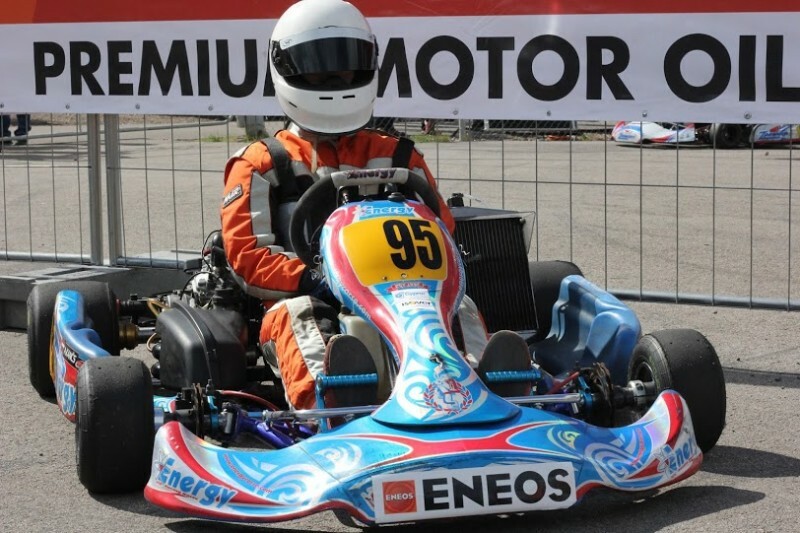 This weekend in Madona go-kart track was played out the fourth stage of Baltic Rotax Challenge Cup and the third stage of Latvian Championship. In both series is approaching the decisive moments. The winner of Baltics will be decided on August 22 in Aravete. For Latvian championship are two races remaining, of which the next is planned in conjunction with the Pro-Kart race on 8th August ibid Madona. Race in Madona was a real test of skill for both athletes and mechanics, as was ruled by volatile weather condition. MicroMax class, once again confirming its leadership status in the season, won Matiss Malinovskis. MiniMax class season leader Karl Markus Sei this time was far from award winning trio. Stage winner are Marten Ojasaar. Best Latvian driver Markus Spike took third place. Junior class still invincible Rokas Baciuska, once again victory in his account. Senior class compete virtually only Estonians. Victory this time for Hannes Tammpere. Best of Latvians Kriss Jaunzemis ranked in eighth place. DD2 class in Madona very convincingly felt Henrijs Grube. He wins a pre-final as well as the final heat. DD2 Master class was dominated by Ilja Aļoškins. No one could disturb him to take victory in this stage. The winner in team score was RB Sports. Nearby competitions Jelgava street race 18 July. It is already this weekend. Information for participants: paddock for arrival on Friday will be open from 10:00 until 12:00, followed by free practices from 12:00 to 18:00 and then from 18:00 until 19:00 free arrival/ departure from paddock, starts from 19:00 to around 23:00 Openkart competitions will take place. Race day will be very long from 8:00 to 20:00, see the agenda under the Tag "Races". In the meantime the Popular class activists collect signatures and submit amendments to the technical rules. Intimation is available here. Pro-Kart Karting Commission has no objection to the amendment. It is planned before the race on Friday after free practices to keep the express meating for Popular class and if no other proposal will be appear, these provisions will enter into force with these competitions, from 17.07.2015. This means that participants and mechanics must be ready to meet the technical requirements of the regulations. Pay attention to the official refueling points, for the remaining part of the season has been agreed with the company Latvijas Nafta, this mean for Jelgava the official gas stations is Astarte. In the race Office every participant will recieve refueling discount cards. We are going to race with a cheaper and better fuel. Gribas pateikt paldies Kristai par bildēm un noķertajiem momentiem trasē.